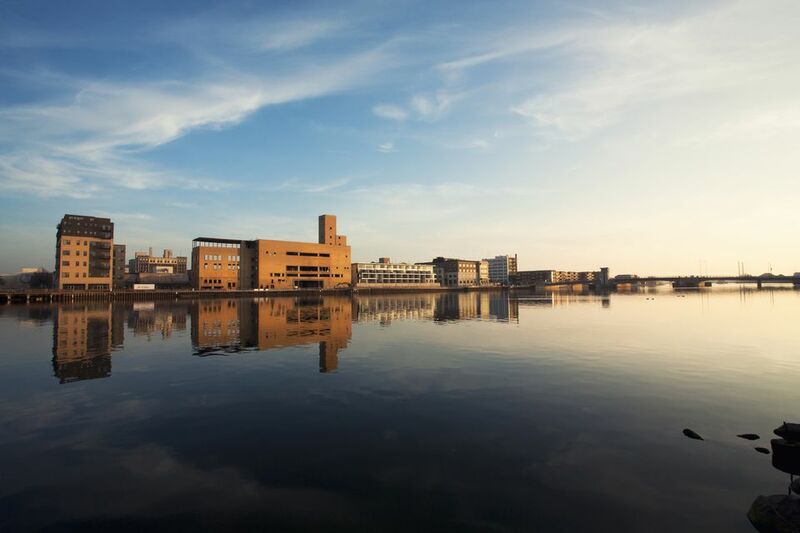 Milwaukee and Madison might get the most attention from visitors to Wisconsin, but Green Bay, the state's third largest city, surprises with plenty to see and do. No, the home of the Packers is not simply a football destination—though the team does color the town green and yellow, even when the sport's not in season. But outdoor enthusiasts, history buffs and even avid eaters will be impressed with what Green Bay offers the Midwest explorer. Here's what to do with a couple of days in Green Bay, Wisconsin. According to the Wisconsin Beef Council, Wisconsin is home to 14,000 beef producers, so you'd be remiss to visit the state and eat beef from anywhere else. At Green Bay's Cannery Public Market, local dairy farmer John Pagel of Pagel's Ponderosa dairy farm is proving the globally trending farm to table concept. At the Cannery–an actual converted cannery building from the early 1900s—Pagel serves up his own Ponderosa Limousin beef from nearby Kewaunee County, in the form of burgers, steaks, and even a German-style pot roast. The restaurant's accompanying market is the perfect place to grab the rest of the states specialties, from cheese curds to charcuterie. Pagel's Ponderosa farm is also open for tours, where you can learn all about what makes Wisconsin's beef and dairy so delicious. Did you know that the Green Bay Packers are the only team in the NFL to be owned by shareholders instead of an individual owner? The team has 364,000 shareholders, to be exact—many of them locals. Perhaps that's why Green Bay's pride for its football team is contagious. Join a stadium tour of the 81,441-seat Lambeau Field to get your full dose of the Packers—you'll learn about the team's fascinating and atypical funding, and even get to walk the Players Tunnel. Fans will want to top the tour off with a visit to the Packers Hall of Fame, where you can sit at a replica of beloved former coach Vince Lombardi's desk. Green Bay is home to a good handful of craft breweries—we challenge you to aim for one per day of your trip! From the former locker room of a converted factory building, Badger State Brewing Company's founders channel inspiration everything Wisconsin. Visit the brewery's tap room in the city's Stadium District and choose from any of the 24 beers on tap—most made by Badger State and all from Wisconsin. Look for the Walloon Witbier; the brew shares a name with the language spoken in Wallonia, the original home of the Belgian settlers that settled north of Green Bay, and the colors of the Wallonian flag—red, yellow and white—wrap the Walloon Witbier can. Green Bay is surrounded by beautiful landscapes of all kinds. Aspiring botanists will enjoy a visit to the 47-acre Green Bay Botanical Gardens, home to impressive rose and conifer gardens, a children's garden, and a brand new Grand Garden, with a centerpiece amphitheater set to host performing arts events for its first season in 2018. Or, drive out through flat green farmland to Fonferek's Glen County Park, home to a surprising geological feature. It's here that the dolomite cliffs of the Niagara Escapement from the largest waterfall in Brown County (35 feet tall) and an impressive natural arch. Hike at your own risk—though the reclaimed farmland was preserved in 1991 for its historic and geologic importance, there are no marked trails, and the glen's concealed cliffs can be dangerous. Still, a careful descent down to Bower Creek rewards the curious with beautiful views. Wildlife enthusiasts should head to the De Pere Riverwalk, where spawning sturgeon, walleye, salmon, pelicans and even an occasional bald eagle can be spotted. The short sidewalk meanders through a system of canal locks before jutting out into the Fox River, where ice fishermen take the stage during the cold months. In Manitowoc, the Wisconsin Maritime Museum educates visitors on the fascinating history of the Great Lakes "water highway", used through time for the purposes of trading, immigration and shipping. In a little-known act of natural preservation, an estimated 6- to 10-thousand shipwrecks along historic Great Lakes shipping routes are locked in time due to the cold fresh water, and the Wisconsin State Historical Society is lobbying for National Marine Sanctuary designation for 40 shipwrecks over the area of 1100 square miles. The Maritime Museum houses an extensive and interactive model ship gallery, but the museum's most impressive exhibit is out back in the Manitowoc River. Since the town used to be a manufacturing center for submarines, it makes sense that the Maritime Museum has been home to the USS Cobia WWII submarine since 1970—one of the best preserved WWII subs in the country. In its lifetime, the Cobia sank 13 ships, rescued seven downed airmen and served six tours of duty. Today, guests can tour the tight quarters of the 1943 sub that somehow housed 80 people in its day, and even stay overnight! An unsurprising second act for the owner of a successful chain of car washes? Becoming a collector of classic cars, and displaying them for all to enjoy. That's exactly what Red Lewis did, in a state-of-the-art warehouse on the site of an old Cadillac dealership. Lewis has 50 cars on display at any time at the not-for-profit Automobile Gallery, ranging from a 1917 Milburn Electric—"the original green automobile"—to a 1981 DeLorean, and beyond.